Jacket Hanger with Bar 42cm J42BAR. Jacket hangers at the lowest prices in handy packs starting from just 10. Perfect for hanging ladies and men’s jackets, coats, outerwear and suits. This is because they extend the life of suit jackets and coats by keeping them in the correct shape. We manufacture plastic jacket hangers in our factory in Castbellingham, Co. Louth, Ireland. Buy direct from a manufacturer, cut out the wholesaler, and save money! 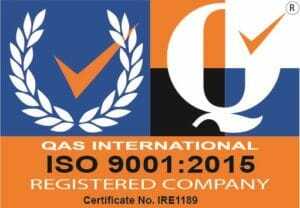 Also, because we are a manufacturer we maintain total control over the quality of our production. As a result we have supplied many of the same customers, including leading retailers, for decades. Choose from a large range of plastic jacket hangers in sizes including 38cm, 42cm, 43cm, 43.5cm and extra wide 46cm. Keep your suit jackets looking great because of the wide shoulder. The thicker shoulder area gives jackets the right support. Also, our J42 with Bar, Dormer Hanger and Rainbow Hangers come with a trouser bar. As a result they are perfect for hanging suits. 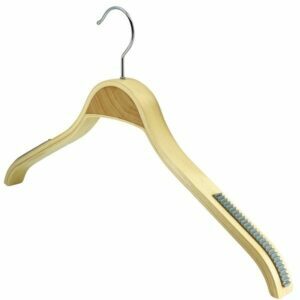 We also sell strong and stylish 42cm wide wooden jacket hangers. Preserve the shape of your favourite coats and jackets with our SJ42 or laminated LJH. In addition, the non-slip grips on the shoulder of the LJH prevents garments from slipping off. 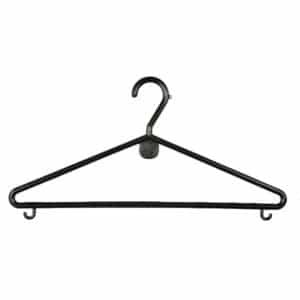 Wire hangers are a simple and low cost way of hanging jackets. Choose from bronze (gold), silver and white wire hangers. Made from a strong 13 gauge wire and therefore strong enough to hold suit jackets. Put a cardboard shoulder guard over wire hangers to give added support to jackets. Also, use a cardboard trouser guard to stop suit trousers from slipping off wire hangers. Our best selling 38cm NF38 and 42cm wide laminated jacket hanger are both perfect for hanging ladies jackets. Each one has a slim stylish design, ideal for displaying the latest fashions. In addition, the non-slip grips on the shoulder of the LJH prevents coats and jackets from falling off. 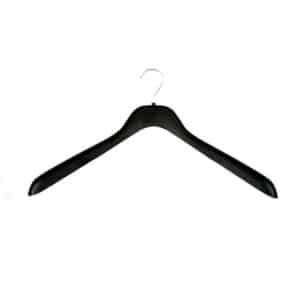 Either our 42cm wide J42 or 46cm wide J46 plastic hangers are great choices for hanging men’s coats and jackets. Both hangers preserve the tailor made shape of suits and outerwear because of their thicker shoulder area. Also, their strong chrome hooks can support the weight of heavy coats. The Dormer Hanger is our best selling hanger and great value for money. Named after our sister company, Dormer, the leading supplier to the dry cleaning trade across Ireland and UK. Leading dry cleaners use the 43.5cm wide Dormer Hanger to hang suits. Use this multi-purpose hanger to hang jackets, trousers and even ties because it has a tie bar. In addition, use them to hang dresses and skirts! The space saving slim design, together with the strong swivel chrome hook, make it a best seller. Plus the Dormer Hanger is available in a wide range of colours including blue, green, red, white and yellow. Another economy option is our 43cm wide Rainbow Hangers. Made of strong plastic and a low cost way of hanging suit jackets and trousers. Also, we sell them in a wide range of colours. We can also print your company logo on our plastic and wooden jacket hangers. This is a great way of promoting your business! Read more. 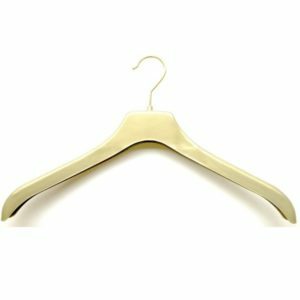 We provide a fast delivery of jacket coat hangers across Ireland and UK of between 1 to 5 working days. This is because we keep huge stocks. We offer FREE delivery on orders over €75 + VAT (or Sterling equivalent).